Prof. Dawkins completed her PhD in 2001 and postdoctoral studies in 2006 at Goldsmiths, University of London before taking up a senior lectureship in 2006 and Readership in 2014 at the University of East London (UEL) where she co-ordinated the Drugs and Addictive Behaviours Research Group. She joined LSBU as an Associate Professor specialising in Addictions in February 2016. With over 20 years’ experience of working with smokers and, more recently, electronic cigarette users, Prof. Dawkins is one of the UK’s leading authorities on e-cigarettes, having published papers on profiles of use, acute effects, puffing topographies and nicotine delivery. She has disseminated her findings widely via academic conferences, public lectures and online media and her current work is funded by Cancer Research UK and the National Institute of Health Research. Her work attracts considerable media interest and her recent impact case study for REF2014 achieved a 100% 4* rating, joint top in the UK. Prof. Dawkins has extensive experience of teaching and course design in Psychology at BSc and MSc levels, and has been a fellow of the Higher Education Academy (HEA) since 2012. 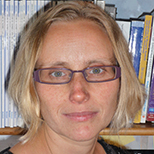 She is involved in supervising a number of BSc and MSc research projects and PhD students. Dr Dawkins’ previous studies were among the first to demonstrate that smokers show impaired reward responsiveness and response inhibition during acute abstinence from smoking - effects that can be reversed following nicotine administration. In a larger-scale prospective study of 200 smokers attempting to quit, she subsequently reported that whilst reward responsiveness improves over 3 months of successful cessation, response inhibition does not. Current research is focusing on the possible clinical utility of response inhibition training for abstinent smokers. In a related line of empirical enquiry, Dr Dawkins has explored effects of various electronic delivery devices for craving reduction, cognitive functioning and blood nicotine delivery. In a large scale survey of e-cigarette users, her team captured essential data on user profiles, preferences and utilization behaviour and a pharmacokinetic study was the first in Europe to demonstrate measurable nicotine delivery in experienced e-cigarette users. That large individual differences in puffing technique and nicotine delivery were observed in this study has informed current research focusing on puffing topographies, self- titration and toxicant exposure. A randomised controlled non-inferiority trial to examine the efficacy of e-cigarettes compared with standard pharmacotherapy, when used within the UK stop smoking service (co-investigator; NIHR funded trial led by Queen Mary, University of London). Acceptability, patterns of use and safety of electronic cigarettes in people with mental illness: A pilot study. (Co-investigator; project led by the Institute of Psychiatry, Kings College London). Dawkins, LE and Cox, S and Goniewicz, M and McRobbie, H and Kimber, CF and Doig, M and Kosmider, L Data for 'Real-world’ compensatory behaviour with low nicotine concentration e-liquid: subjective effects and nicotine, acrolein and formaldehyde exposure.